The SI30 is the most compact projector lift on the market with a 300mm drop and a tiny build in height of 120mm plus the height of the projector, ideal for installation where space above the ceiling is at a premium. This lift particularly leans itself towards suspended ceiling and has been designed to come down from a standard 600 x 600 ceiling tile. 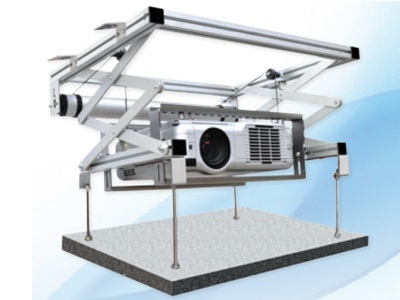 The SI30 is designed for smaller projectors with maximum dimensions of W 400mm x H 140mm x D 450mm. 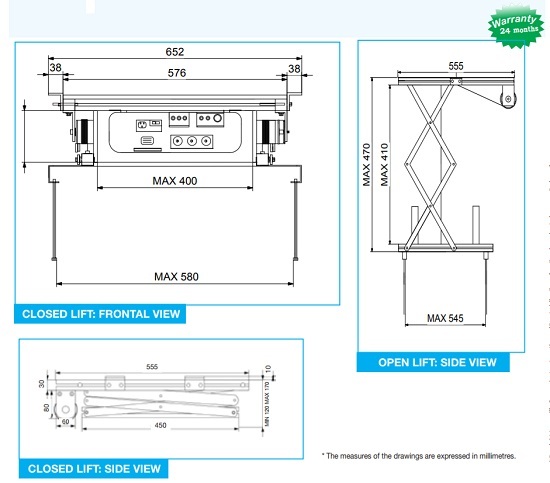 The Lift comes with a total maximum drop of 300mm which can be adjusted if required.